Let me start off by saying I do know how to cook and I do it very well, thank you. But with it being just the two of us, sometimes it is easier, quicker and cheaper to run to Taco Casa for a burrito. Trust me, I don't need to hear about how all of that is bad for you. I hear it in my head all the time. Usually I go somewhere healthier like Chipotle or somewhere for a burger with no bun. 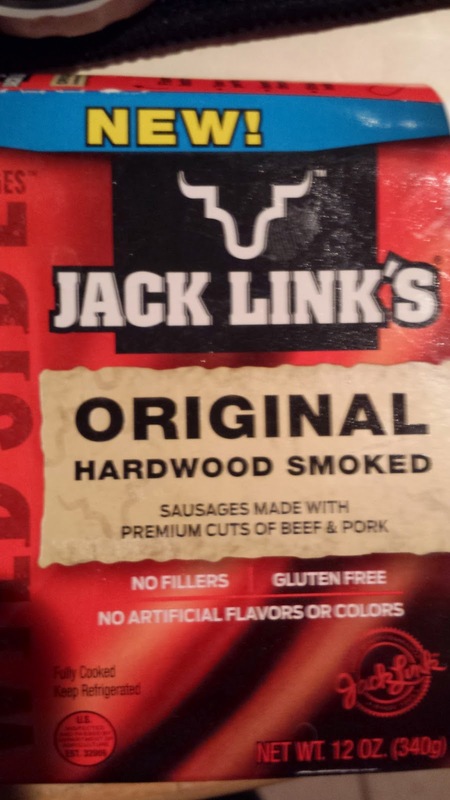 Have your man grill your sausage links outside on the grill to get the best flavoring. While he is grilling, put the Uncle Ben's Boil-in-a-Bag brown rice in boiling water, following the directions of the box. When there is about, oh, five minutes or so left on the rice, get out your skillet/wok/pan add your oil and sauté the pepper, celery and garlic. I like mine to be a little al dente (I love me some crunch!). When the sausage is done and brought to you, slice them up. 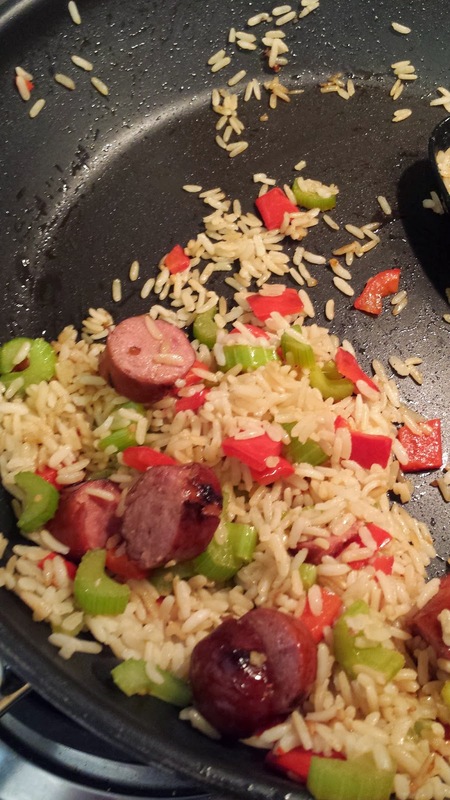 I take the rice off, cut the package and pour it into my pan with veggies. Add sliced sausage. Stir to marinate the flavor for a few minutes. I did not add any spices to it. I enjoyed the flavors from the sausage and veggies. You can add any veggies and spices you want. So adaptable to any diet or way of eating. (gluten free, vegan, dairy free, etc) Think outside the box! Now, what are we gonna name this bad boy?